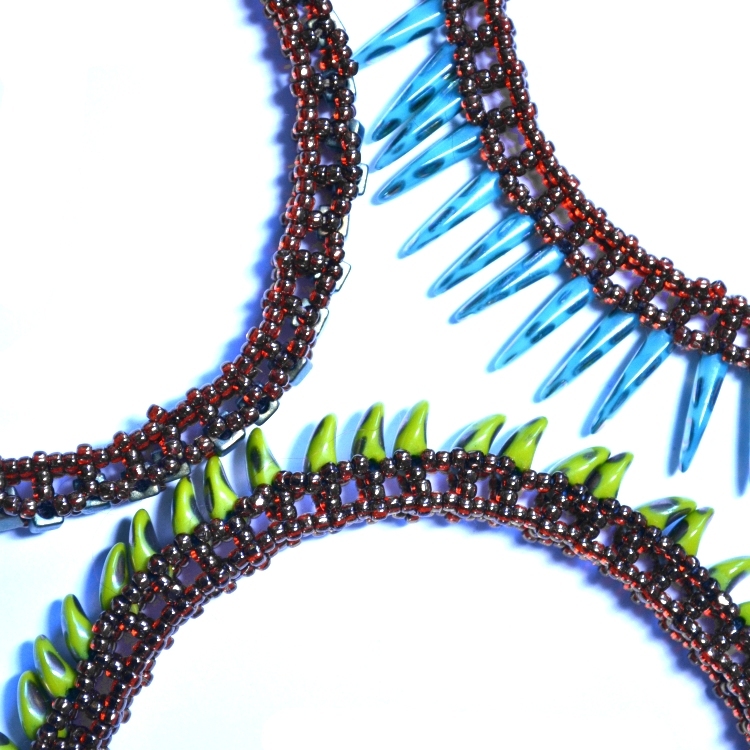 These instructions show you in detail how to bead your own versions of my Bejewelled Bangles. 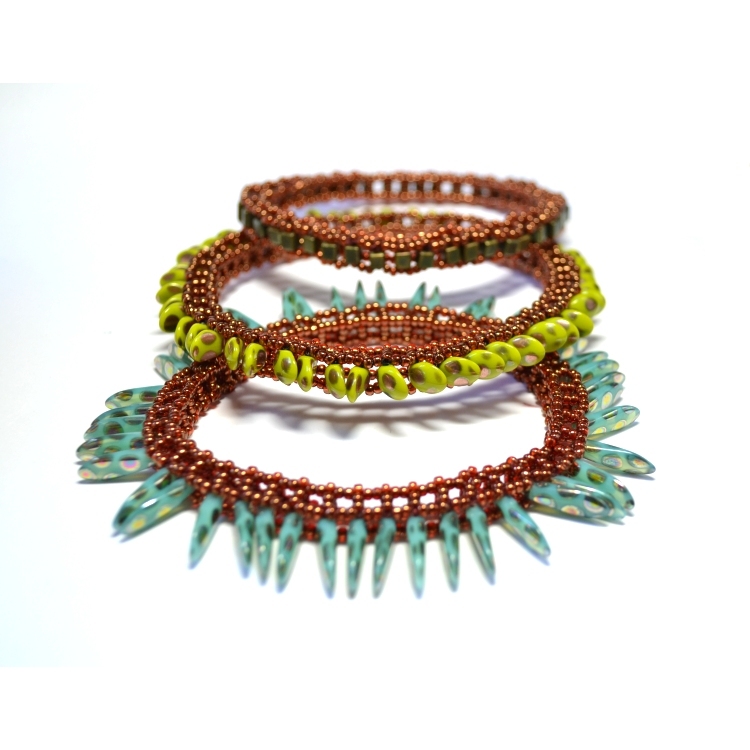 The main body of the banglesis seed beads and after that you can chosoe your feature beads. Included are full details on how to alter the design if you want to use different beads. 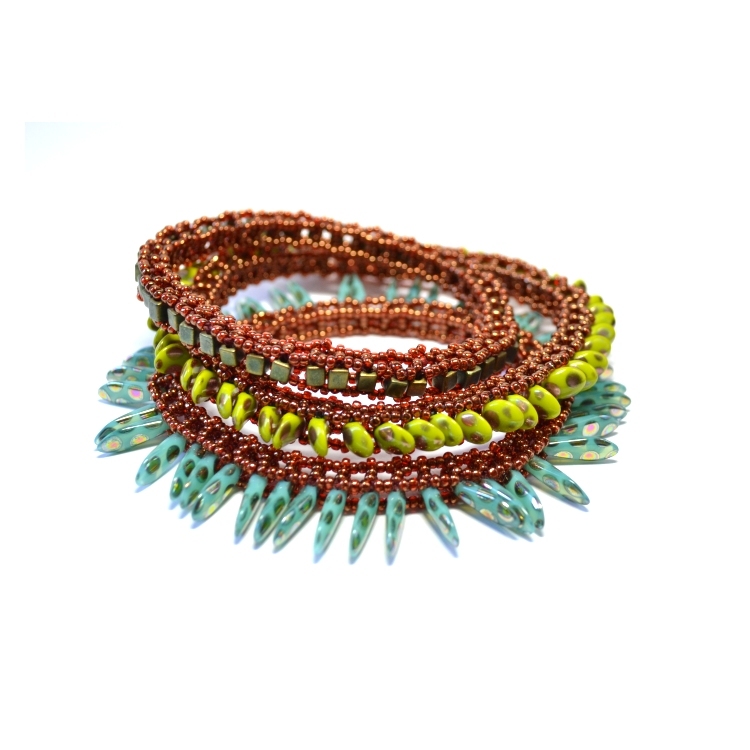 I used drop beads, dagger beads, large seed beads and paddle beads in my bangles but you can experiment with many others. This complete 8-page step-by-step tutorial contains all the instructions, diagrams and photos you will need to make your own stunning bangles using cubic right-angle weave. Although full instructions are given for this project, which makes them suitable for a beginner, you may find it easier if you a non-beginner or someone who is looking for more of a challenge.